Search Engine Optimization is an integral part of online success. Since the first days of Google, companies have been competing for a chance to appear at the top of the search results for their preferred keywords and phrases. However, perhaps one of the most complex aspects of dealing with SEO is the fact that the rules are continually changing. In the past, the easiest way to get ahead of the search engine algorithms was to focus on using a specific keyword or term in each page of your website. However, as Google has begun to implement new and disruptive concepts like AI and machine learning into their algorithms, search standards have evolved. 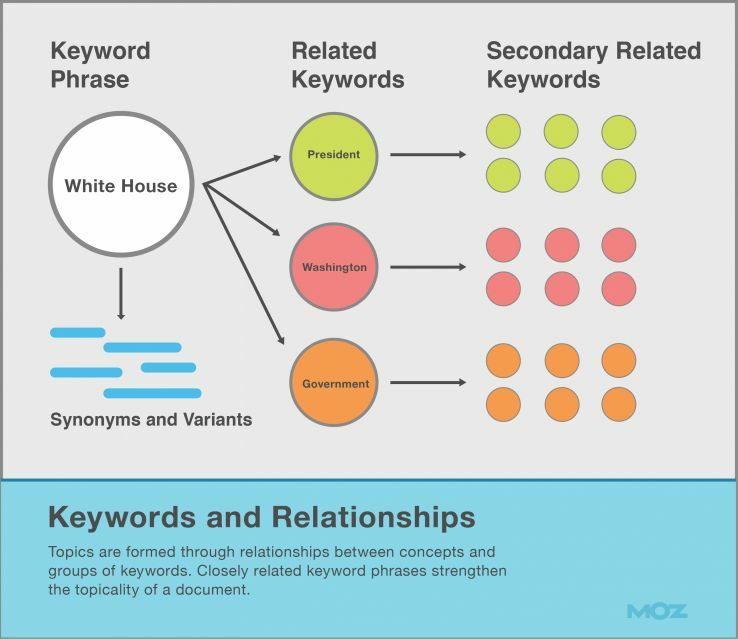 Today, keywords may not be the most critical element in the SEO equation. Ultimately, Google’s job as a search engine is to deliver the best possible experience to today’s browsers. This means giving customers content that is sure to answer their most pressing questions. In days gone by, Google would have attempted to answer queries using keywords and links as a way of matching everything up. Today, keywords are still a key component of how Google serves online browsers, but they’re not the only thing worth considering. After all, if Google focused entirely on keywords, the content with the most instances of a term would appear at the top of the search lists, even if that content wasn’t best for the customer. With the new semantic algorithm “Hummingbird” Google decided to start looking at things from a new angle, examining the connections between words, topics and context so that they could understand the intent of a search. Hummingbird helps Google to rank content by “topic” instead of focusing on the exact match between a search and the keywords in a blog post or page. Enter the era of Topical SEO. Whether you call it “topical SEO” or “semantic SEO,” the focus is the same. Topical SEO is about showing Google that you’re an authority on a particular subject. In practice, this means that if you want to excel in Topical SEO, you’ll need to fill your site with content that’s designed to answer all the questions your customer might have about a particular niche or concept. Google has started to prioritize topic-oriented content over keyword-focused pieces. Sites with higher quality topic coverage can outrank sites with stronger backlink profiles, and a lot of keywords. Google now favors topic relevancy over exact keyword matches when ranking content. Ultimately, we’ve discovered that if you want to get ahead in the SEO world, it may be time to start looking at “topic clusters” instead of keywords. When Google is assessing your site according to topical SEO, it starts by looking at the hierarchy of your website, then assigns importance to topics based on where your content is located. The further the crawlers need to dive into your site, the more they lose interest. The topic cluster strategy works to give Google more information about your website quickly, through “pillar pages” or cornerstone content. These comprehensive webpages work as a content hub, linking out to other pages of relevant, and detailed pages, like blog posts. This strategy gives Google a more comprehensive hierarchy to work with when evaluating your site. The first step in bringing your topical SEO strategy to life is choosing your topics. Once you’ve got a general idea of some topics in mind, you can begin looking at keywords. What are the best Digital marketing channels? Microsites: Microsites dedicated to specific topics, or knowledgebases could be useful to your customer. Videos and podcasts: Experiment with other forms of content beyond writing to help connect with a broader target audience. Remember that planning is essential when creating an effective topic cluster. You might find it helpful to plan out each piece that you want to create on a marketing calendar. Figure out how long it will take to create each blog or page, so you can set some deadlines for each cluster and work from there. 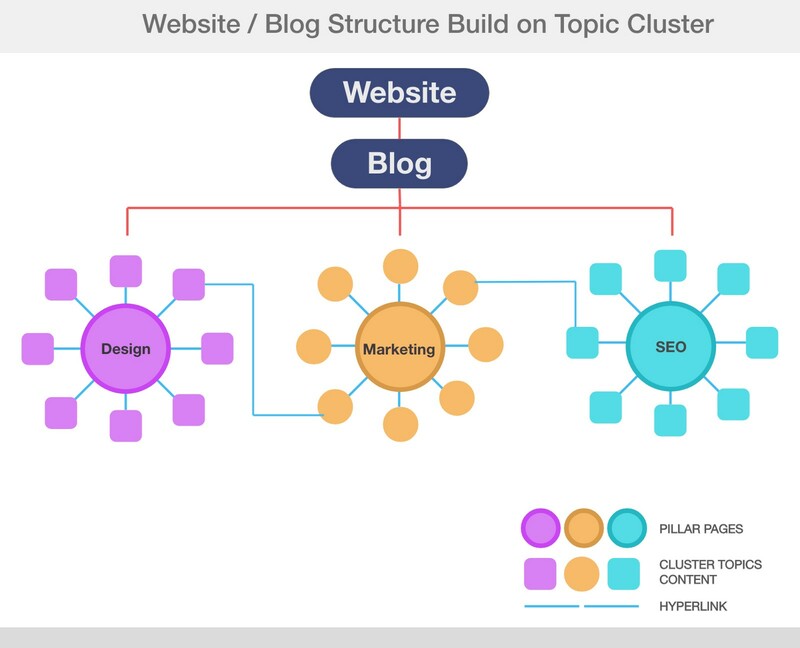 Your topic clusters have a purpose beyond promoting your website. They identify you as an authority in your space to Google and start developing the framework that you’ll need to bring your business website to life. However, that doesn’t mean that you shouldn’t advertise the pieces you create. If you’re following the rules of content creation, then your sub-topic articles are sure to be packed full of useful and relevant information for your target audience. As such, it makes sense to post them on social media, share information about then on your email newsletters, and even pay to advertise each page on PPC. Follow the same promotional strategies that you would use for any other piece of content on your website to make sure that you’re getting each page the attention it deserves. Topics may be more important than keywords for SEO: However, that doesn’t mean that you no longer need to consider things like keyword research when you’re building your topic and sub-topic pages. Thinking through your keywords carefully will help you to produce more relevant and rank-ready content. You’ll still need to follow the rules of content: The purpose of Topical SEO is to create multiple pieces of high-quality content around a single genre or idea. Make sure that every page you create to link out to from your cornerstone piece has a specific focus, and that it has value to offer your customers. This stuff is easier than you’d think: Finally, while creating various pieces of engaging long-form content will take time, it’s easier to get started with topical SEO than you might think. You probably already know a great deal about your industry and niche so that you won’t have too much of a hard time coming up with topics and subtopics.